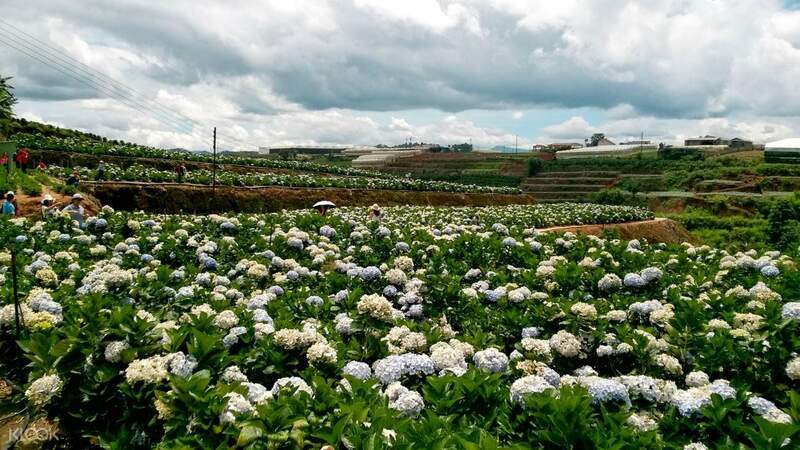 Breathe in the sweet-smelling aroma of blooming flowers and tea fields in a guided day tour adventure in Da Lat! Bathe in the cool atmosphere of the Central Highlands peppered with towering pine trees and engulfing mists! Travel with no worries – lounge as you travel to Da Lat's iconic stops aboard convenient transfers! The best way to discover the City of Flowers is to simply choose the perfect places to explore. In this guided day tour around Da Lat, spend time in the city's blessed natural abundance, reminiscent of fairy tale settings. See the vast stretch of tea fields amidst a looming mountain backdrop and indulge in its gentle wilderness. Find your way to the container café and enjoy its wide open spaces designed for your sightseeing pleasure! Next, walk on blooming paths and visit the Hydrangea Flower Farm filled with purple hue wonders. 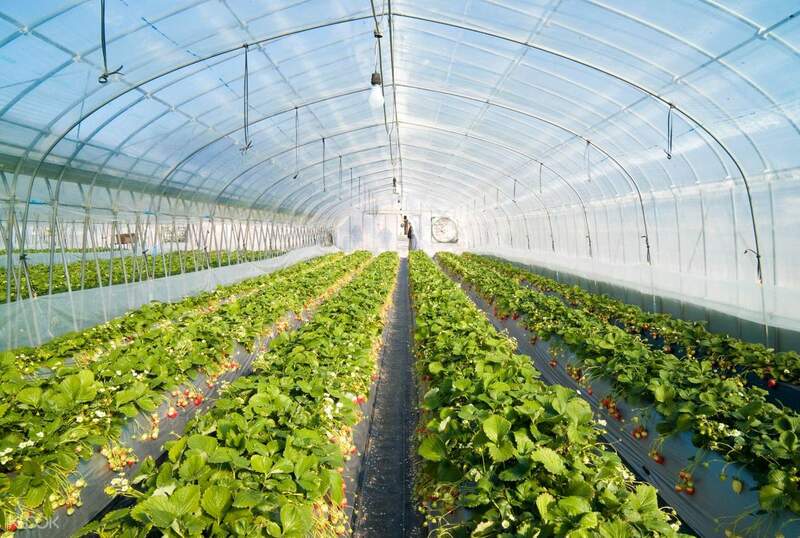 Not too far away, flourishing strawberries, giant pumpkins, and Pepino melons can be seen in their growing splendor. Explore in awe and fall into a dreamlike state as you saunter along the fertile soil of Da Lat’s famed gardens. Afterwards, take your lunch and leave nature for a tour around the city’s iconic architectural marvels. Visit Da Lat University, the Atiso showroom, and the Da Lat French Quarter where the majestic Bao Dai Summer Palace 1, former residence of Vietnam's last ruling emperor, is located. Experience a romantic tour around Vietnam’s Little Paris and enjoy wondrous surprises at each stop. 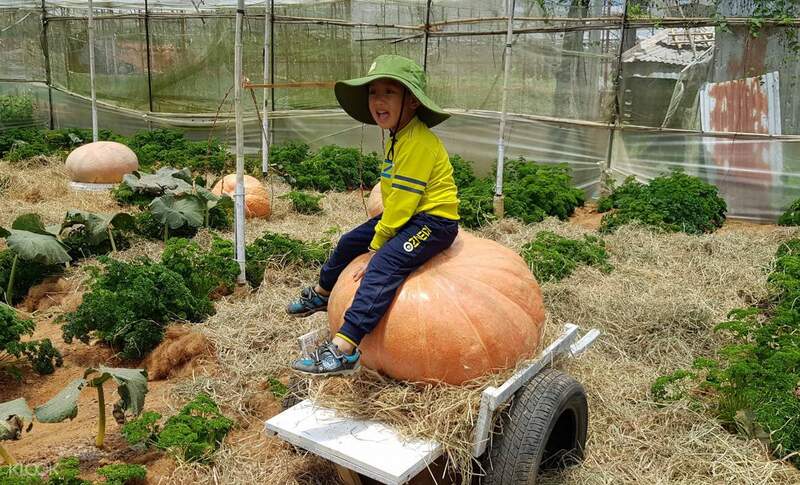 Let your imagination run wild and make your own memorable moments in Da Lat! Branch out of the city and come into bloom at the Hydrangea Flower Farm! Was unable to contact the local operator when they were late as no information was provided. The tour started late and the guide was unable to speak English (as opposed to what was promised in the package). The tour was rather rushed and the overall experience was a let down. The only saving grace is that all the places mentioned were covered and the locals were generally friendly. Was unable to contact the local operator when they were late as no information was provided. The tour started late and the guide was unable to speak English (as opposed to what was promised in the package). The tour was rather rushed and the overall experience was a let down. The only saving grace is that all the places mentioned were covered and the locals were generally friendly. Good service, convenient when shuttleing at hotel, very nice tea hill but quite crowded. Dịch vụ tốt, tiện lợi khi đưa đón tại khách sạn, đồi chè rất đẹp tuy hơi đông người.